Southern Home Blanks is a robust DIY embroidery Blanks business that sells both retail and wholesale products online. The website owners needed a way to keep their wholesale business separate from their retail without having to maintain two websites. The solution was WooCommerce. WooCommerce is probably the fastest-growing Ecommerce solution around. Woo features great plugins that can make it easy for website owners to operate their own eshops without a lot of effort. With so many using mobile devices for everything these days, it is important that Southern Home Blanks customers be able to complete purchases on their mobile devices. 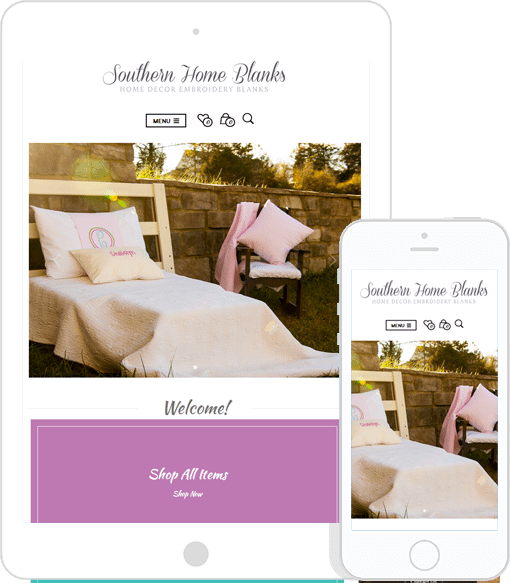 By combining the wholesale and retail online stores, Southern Home Blanks can streamlined everything from bookkeeping to order fulfillment in their website dashboard. Take a peek and see for yourself.